Hibbert House or Headquarters House as it is called today was built in 1755, and funded by its owner Thomas Hibbert.Thomas Hibbert was a wealthy merchant from United Kingdom who made his home in Jamiaca in 1734. Fashion in a Georgian architectural style that was popular in England at the time. Thomas Hibbert became involved in politics and was named Speaker of the House of Assembly in 1756. The temporary removal of the Capital of Jamaica from Spanish Town to Kingston in 1754 by Colonel Admiral Charles Knowles, resulted in the House of Assembly and Legislative Council holding meetings at Hibbert House from 1755 - 1758. After his death in 1780, the house was listed as private residence until 1814 when it was purchased by theWar Office of the West Indies Regiment. In 1872, with the permanent removal of the Capital from Spanish Town to Kingston, Headquarters House was purchased by the Government for five thousand pounds (£5000) Sterling. 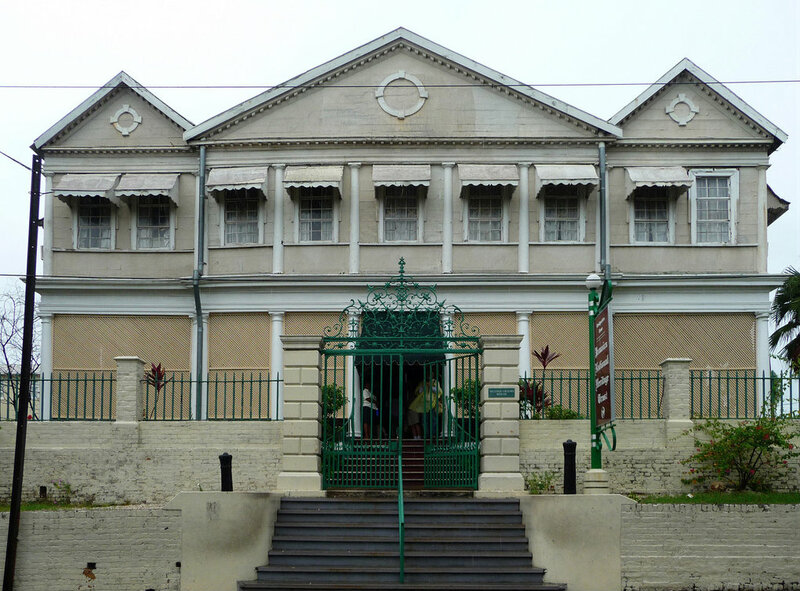 It became the permanent seat of the Jamaica Legislation from 1872 until 1960.